Stack Up on 8 Top Music Applications Including TuneUp! Produce & Share Music With The T-Pain Engine. Music-makers, start your T-Pain engines! This self-contained beat-making and vocal recording application powers you through from start to finish, even if you're brand new to music production. New to making music? 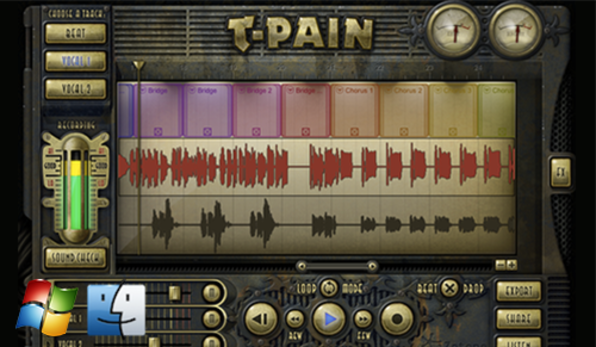 In a matter of minutes, The T-Pain Engine will have you arranging beats, recording vocals, and posting your tracks online. More experienced? The T-Pain Engine is the perfect musical sketchpad for getting your creative juices flowing. Make Beats Choose from dozens of killer beats or customize your own. Record Vocals Sing or rap, then add the official T-Pain Effect. Share Post songs for all to hear, straight to the web via SoundCloud. The Official Windows Media Player on the Mac. Ever wished you could share media with all your family and friends that use PC and Mac? Now you can! Convert and share movies with anyone working on Mac or Windows. With Flip4Mac you can create Windows Media easily right from your Mac using pre-configured settings. Convert Windows Media for iMovie, Final Cut Pro, iTunes, iPad, iPhone, iPod, Apple TV, and more. Remove the demo watermark when using Windows Media content in PowerPoint, Keynote, QuickTime Player 7, Compressor, iMovie and Quick Look. Plus you can create your own iPhone Ringtones and take advantage of all the Pro editing, conversion and playback features in the new Flip Player media player. 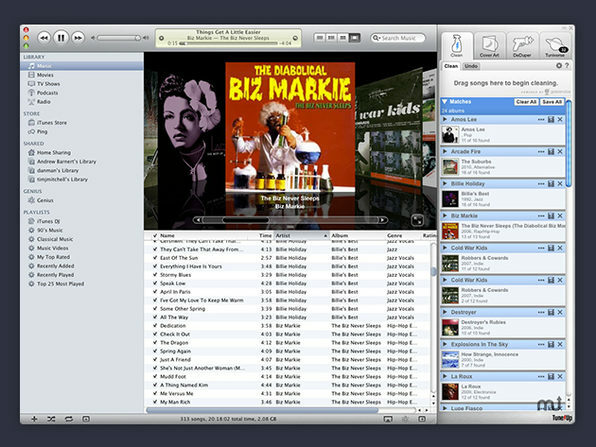 Meet Tracks, A Powerful Application That Allows You To Play & Browse iTunes Music Right From Your Menubar! Wouldn't it be nice to be able to play all of your iTunes music collection right from your menubar? Let alone be able to browse and listen to new music as the adventurer in you looks to hunt down new tracks? Well lucky you because Tracks is your solution. 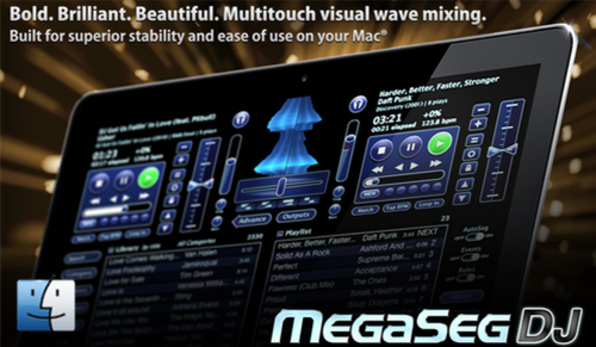 It's an intuitive and powerful Mac application that embraces the ease of use of your Mac and integrates itself into the foundation of your machine to provide a seamless musical experience. Your iTunes has patiently been waiting for an application like this and now the time has come...for you and your iTunes to start a more enjoyable musical experience right on your Mac. Think of it as...peanut butter and jelly. The two are just so much better together. Live Search Tracks lives in the menubar and is available at all times. 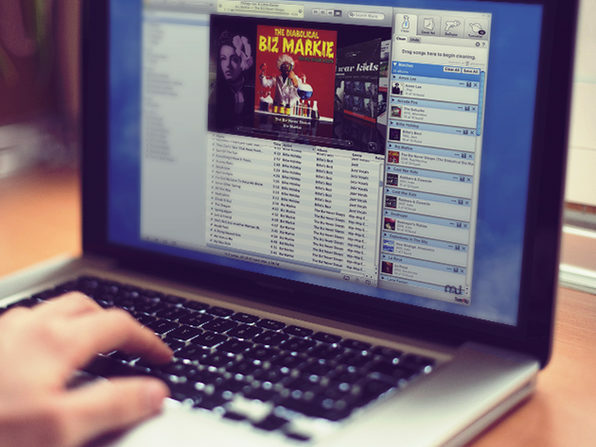 Browsing your iTunes library is as easy as opening the Tracks bar and typing a few characters. 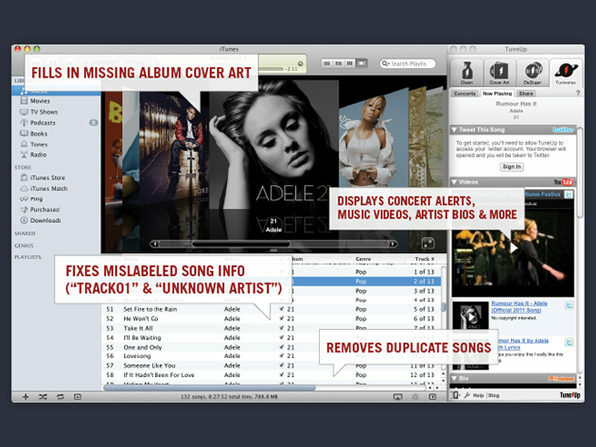 Search the Web Extend your search to remote songs, play iTunes Music Store previews or buy songs instantly. Global Shortcuts Define global shortcuts to access the Search bar, your music library and the Music Store anytime. Last.fm Tracks can automatically integrate with Last.fm and scrobble songs as you play them. Alerts Tracks can automatically notify you of the currently playing song using Growl alerts. 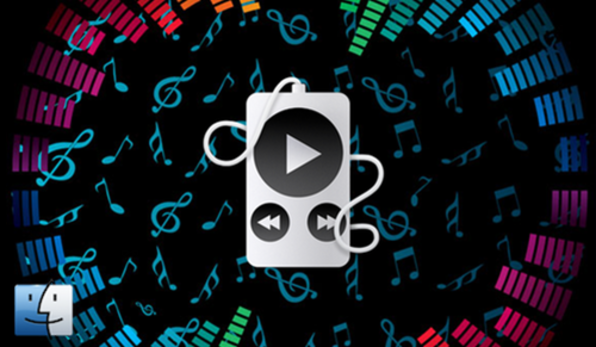 With Tracks, the music is all yours with just the click of a button. Wish you could record audio whenever it touches those ears of yours?  Now you can with Ondesoft's Audio Recorder. With this intuitive and powerful app you'll be able to record voice or music directly from a microphone, CD player, line-in devices or sound being played by other applications and WebPages including Real player, iTunes,Youtube, Safari, Firefox, QuickTime, VLC, and more. 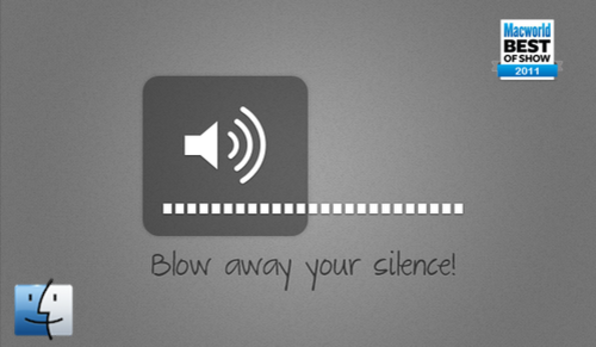 Save your audio files so you can listen to them on any of your devices. 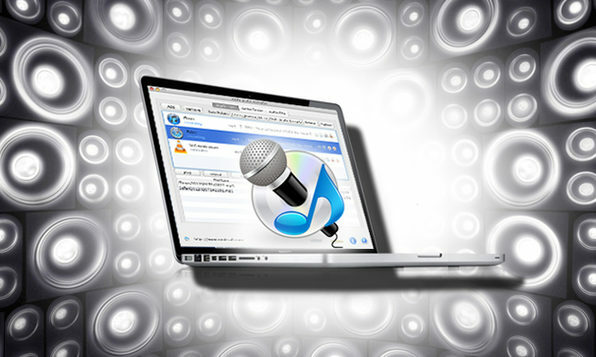 Recording files can be saved into popular formats such as MP3, WAV, AIFF, AAC, AC3, AU, FLAC, M4A, M4R, MATROSK and OGG. This Mac sound recorder can also extract music from movies. Recording Resources Record sound, voice, music or any other audio from audio devices including CD Line-in, Mic, Stereo Mix, Mono Mix and applications or web pages including Real player, iTunes, Safari, Firefox, QuickTime, VLC, and etc. 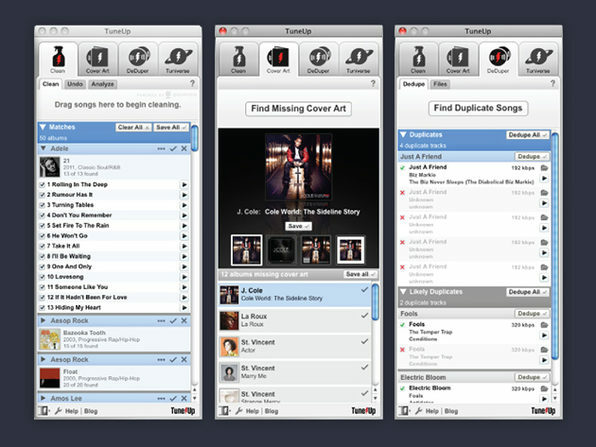 Ever want to be able to grab your favorite songs from websites like YouTube, Pandora, and LastFM? Now you can. Recording Scheduler An advanced recording scheduler gives you the power to schedule recording by setting the start and end times. Hotkey Options Allow you to define hot keys for record, pause and stop recording. Output File Formats: Save recordings to your hard drive in popular MP3, WAV, AIFF, AAC, AC3, AU, FLAC, M4A, M4R, MATROSK and OGG format. Real-Time Recoding With real time encoding data when recording, no temporary file created. Four applications can be added at one time. Setting advanced options, loading applications, recording and stopping recording can be achieved with just one click. Schedule recording by setting the start and end times. Most functions can be called up with a simple mouse click or menu selection! Securely Backup 50GB Worth of Your Music Collection Right in The Cloud. Have too much music and don't know what to do with it? Now you can store up to 50GB of your Music collection for one year right in a secure online backup application so you can share, access, and maintain all of your jams right in one place. 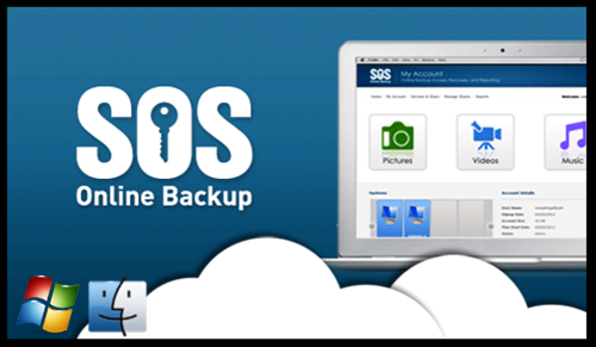 SOS Online Backup for Home Office is an award winning automatic backup web application for up to five PCs, Macs, Androids and iPhones/iPads. PC Magazine Editors' Choice for 4 Years Straight! SOS Online Backup has been voted PC Magazine Editors' Choice four years in a row. Superior security and ease of use makes SOS an ideal solution for home, home office, and business online backup. Smart file selection wizard automatically figures out which files on your computer need to be backed up. Files are kept forever (even accidentally deleted ones) - so you can always recover before you have a problem. Every past version of every file is kept - we only count latest version though! You can share files with friends & family directly from your cloud. Access your cloud anywhere, anytime. Optional UltraSafe protection makes data accessible ONLY to the account-owner. Online connection is needed and you can perform complete and secure online backup and recovery for files on any PC or Mac. An annual home office plan which gives you 1 year of 50GB storage. Once your year of use is up then you'll have to renew your subscription to continue using the service. What languages do the apps in the bundle support? TuneUp: English, Spanish, German, French and Italian MegaSeg DJ: English The T-Pain Engine: English Tracks: English Flip4Mac Studio: English Boom For Mac: English, Simplified Chinese, Italian, Spanish, German & French Ondesoft Audio Recorder: English SOS Online Backup: English If I buy the bundle today, can I download my apps later after I get my new Mac? Yes, as long as it’s within 60 days of your purchase. You’ll be able to access all of your license codes, download links, and installation instructions right in your account. Do the licenses work on all my Macs? Please note: all licenses are for ONE user only but some licenses are valid for use on numerous Macs. TuneUp: 1 Mac or PC MegaSeg DJ: 1 Mac The T-Pain Engine: Numerous Macs & PCs Tracks: 1 Mac Flip4Mac Studio: 2 Macs Boom For Mac: 1 Mac Ondesoft Audio Recorder: 1 Mac SOS Online Backup: Numerous computers Are the apps Mountain Lion Compatible? Yes, and if any upgrades occur they will be free. Where can I retrieve my purchase information? You’ll be emailed a confirmation receipt that will contain everything you need to know to download and activate your apps and you’ll also be able to access all your purchase information in your account under ‘My Purchases’. Did my purchase go through? If your purchase was complete, you should 1) receive a confirmation message in your web browser, 2) be able to access all your product information in your account under ‘My Purchases’, 3) receive a confirmation email. The license code I received isn’t working, what should I do? Please carefully read the installation instructions for each of your products to make sure you’re not missing something. Some applications require you to enter in your name and/or email address exactly as you provided those details to us. If your license details are still not working, please contact the developer directly of the app in question for the fastest response. I mistyped my name or email address so how can I update my license details? Please contact the developer directly of the app in question for the fastest response. We’re unable to manually alter licenses once they have been granted so you must contact the developer in order to get the issue resolved. Please note that this may take several days to get fixed because it can be relatively laborious. Developer/Company Support Details: TuneUp: http://support.tuneupmedia.com/anonymous_requests/new MegaSeg DJ: sales@megaseg.com The T-Pain Engine: support@izotope.com Tracks: support@conceited.net Flip4Mac Studio: http://www.telestream.net/telestream-support/flip4mac-wmv/contact-support.htm Boom For Mac: http://www.globaldelight.com/contact/contactus.php Ondesoft Audio Recorder: support@ondesoft.com SOS Online Backup: info@sosonlinebackup.com I was charged multiple times, what should I do? Contact us immediately with your full name, your account email address, and the dates the charges were made and we’ll be sure to take care of the situation.